It's skirt that we just got in from the new shipment!! 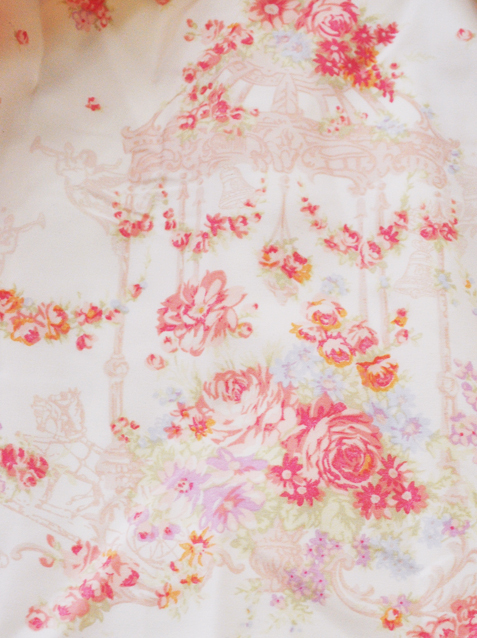 It has the iconic Liz Lisa floral pattern as well as a cute carousel print on it! 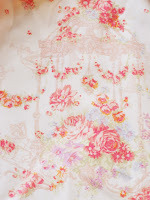 I recommend wearing a light tulle skirt underneath to show off the print and give the skirt a little more volume. There is shirring on the back of the waist band so it can stretch anywhere from a size 2 ~ 6. 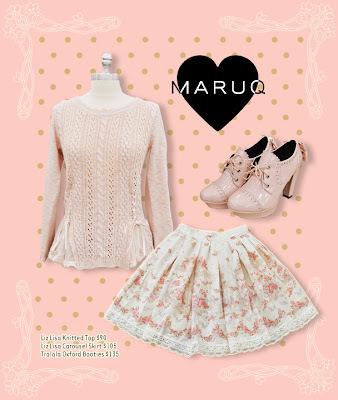 I recommend pairing the skirt with this pink knit sweater and these cute oxford heels. The sweater is knit with some iridescent thread, so it has a subtle glittering effect. There is also 2 lace panels at the bottom of the sweater which allows the skirt to peek through. The oxford heels have a platform in the front so they are easier to wear. We also carry them in black and brown! Yay! Glad you have a blog! Quick question: what is the length of the skirt? when will your online shop be opening? We will be opening our online store soon! If you are interested in the skirt, please email us at hello@shopmaruq.com for information on how to purchase.